Uni Central played host to the first ‘Ask Your University’ event of the year, jointly held by the Students’ Union, the University and the Sustainability Committee on Monday 30 October. The topic of the event was about sustainability within the University, and how it could be improved to help protect the planet. In attendance were important figures from both the SU and the University, including Education Officer Stuart McMillan, Development Office Megan McGrath and Pro Vice-Chancellor for Education and Learning Wyn Morgan. 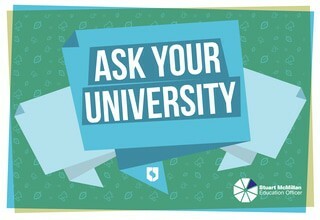 ‘Ask Your University’ has been running for a few years now, and is a collaboration which allows students to have a real say in how issues on campus are handled and voice questions and concerns they wouldn’t otherwise have an opportunity to. Students discussed with University professionals how things could be changed to improve sustainability, through building design, the curriculum and more. Talk in one group was centred on how sustainability could be built into courses around the University. One suggestion was an institution-wide compulsory module – the main aim being to bring sustainability into subjects which normally wouldn’t consider it. This could include workshops, training sessions for staff, and a network for interested students and staff. Also discussed was the University Sustainability Strategy, which centres on how resources are used within the University. They are hoping to improve efficiency by November next year. Some students talked about making the University more accountable, such as by making documents related to buildings and so on easier to find on the University website, to allow greater scrutiny by students and the Students’ Union. There were also discussions about meeting sustainability targets and the methods used when implementing sustainable concepts within new and existing university buildings. The session finished with a successful Q&A session with members of University staff present at the event, and students will be looking forward to the next chance they have to influence issues around the University.